Foot-and-mouth disease virus (FMDV) is highly contagious and responsible for huge outbreaks among cloven hoofed animals. 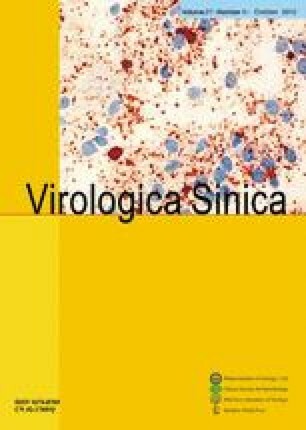 The aim of the present study is to evaluate a plasmid DNA immunization system that expresses the FMDV/O/IRN/2007 VP1 gene and compare it with the conventional inactivated vaccine in an animal model. The VP1 gene was sub-cloned into the unique Kpn I and BamH I cloning sites of the pcDNA3.1+ and pEGFP-N1 vectors to construct the VP1 gene cassettes. The transfected BHKT7 cells with sub-cloned pEGFP-N1-VP1 vector expressed GFP-VP1 fusion protein and displayed more green fluorescence spots than the transfected BHKT7 cells with pEGFP-N1 vector, which solely expressed the GFP protein. Six mice groups were respectively immunized by the sub-cloned pcDNA3.1+-VP1 gene cassette as the DNA vaccine, DNA vaccine and PCMV-SPORT-GMCSF vector (as molecular adjuvant) together, conventional vaccine, PBS (as negative control), pcDNA3.1+ vector (as control group) and PCMV-SPORT vector that contained the GMCSF gene (as control group). Significant neutralizing antibody responses were induced in the mice which were immunized using plasmid vectors expressing the VP1 and GMCSF genes together, the DNA vaccine alone and the conventional inactivated vaccine (P<0.05). Co-administration of DNA vaccine and GMCSF gene improved neutralizing antibody response in comparison with administration of the DNA vaccine alone, but this response was the most for the conventional vaccine group. However, induction of humeral immunity response in the conventional vaccine group was more protective than for the DNA vaccine, but T-cell proliferation and IFN-γ concentration were the most in DNA vaccine with the GMCSF gene. Therefore the group that was vaccinated by DNA vaccine with the GMCSF gene, showed protective neutralizing antibody response and the most Th1 cellular immunity.